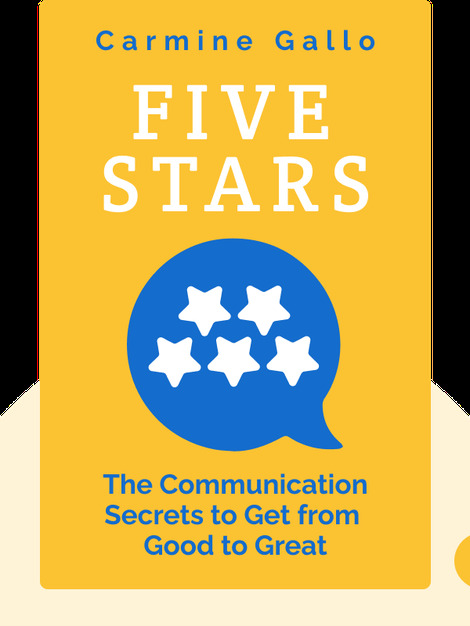 Five Stars (2018) provides a practical guide to improving your communication skills. Drawing on examples from both scientific research and great communicators throughout history, these blinks explore how you can get people to listen to, understand and support your ideas by communicating them in the best possible way. 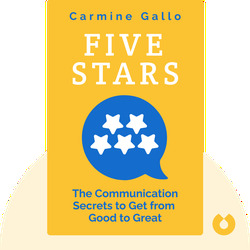 Carmine Gallo has authored the best-selling books Talk Like TED and The Storyteller's Secret. He also advises some of the world’s most famous companies – such as Google, Coca-Cola and LinkedIn – on their communications strategy, and is a regular contributor to Forbes.com.